While stilettos look great paired with a variety of dresses, they don’t feel so great after a few hours of standing in them. 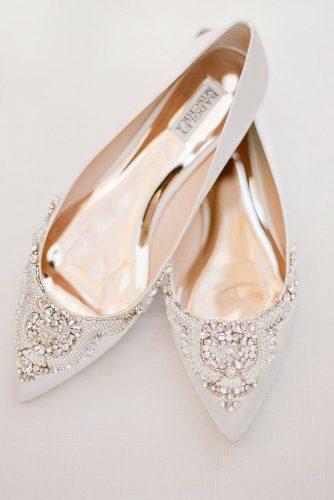 Since comfort should be a priority for a bride, some brides opt for flats for their wedding day. By the way, flats do not at all mean boring, but they are arguably the most comfortable wedding shoes. 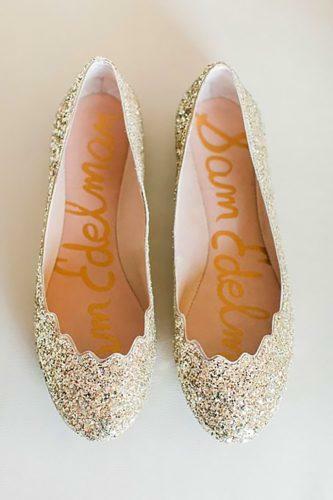 Pros: We all know the pros of wearing flats for a wedding. 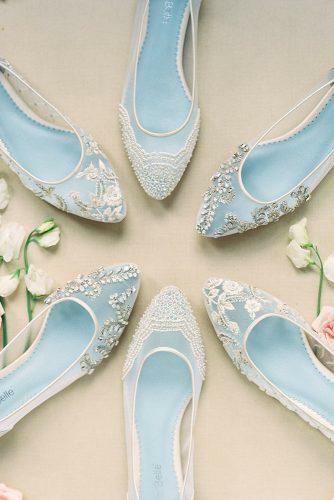 There is nothing quite like comfortable flat wedding shoes in the feelings department. Where comfort is key they are supreme. Cons: It is not as easy to find flats for wedding shoes. 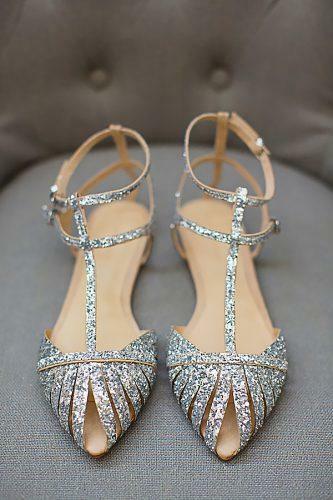 There are many different types of wedding shoes, but most come with heels. I am afraid of flats there will be a lot less variety. Unless of course, your target is simple wedding shoes. 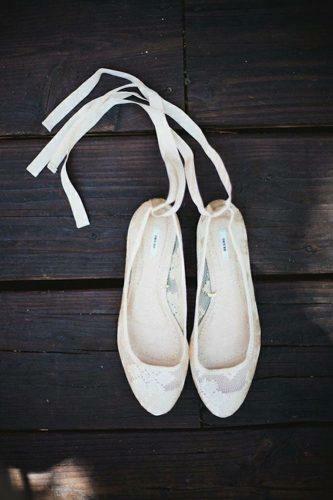 Pros: Flats make the most comfortable dancing shoes wedding. 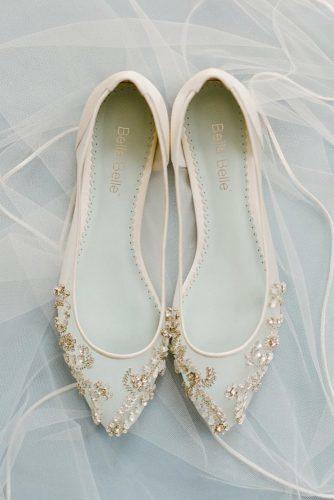 You can choose to wear your heels for the ceremony, and then change to flats for the reception. This would give you relief for the second half of the wedding. With your comfortable wedding reception shoes, you’d be able to dance well into the night and not feel a thing. Cons: While flats maximize comfort, not all dresses pair well with flat wedding shoes. So, while choosing the heel height for your dress, flat or not, consider which would be the best match.